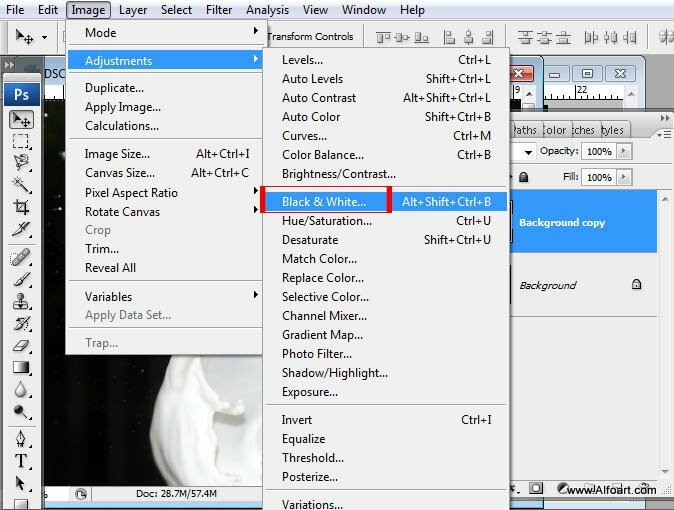 Make the milk picture Black & White. 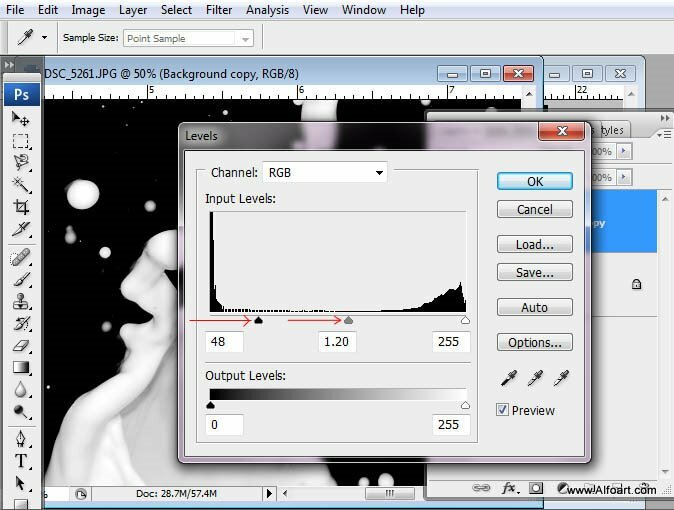 The next step is Image > Adjustments > Selective Color. 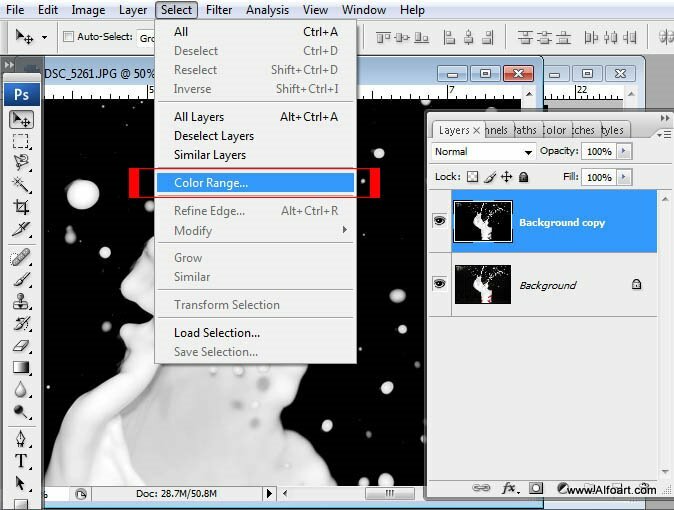 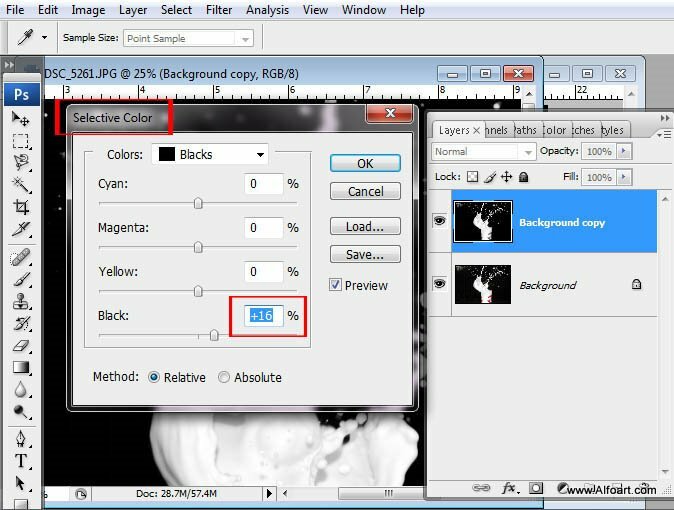 To separate milk from background, go to Select > Color Range.